A cost efficient alternative to running your home air conditioner is using a fan. Fans come in various sizes, but if you spend a lot of time at your desk, you'll want a smaller, oscillating desk fan. These can be found at most home appliance stores and won't run up your electric bill as much as running your air conditioner. The most convenient thing is that many of these fans have various speeds. A typical desk fan has multiple speeds. Place your desk fan on your desk, making sure that it is sturdy. Plug the power cable into an available nearby outlet. Press the "Power" button on the fan's control pad to turn the unit on. On some larger table fans, the control pad will be located on the neck or shaft. 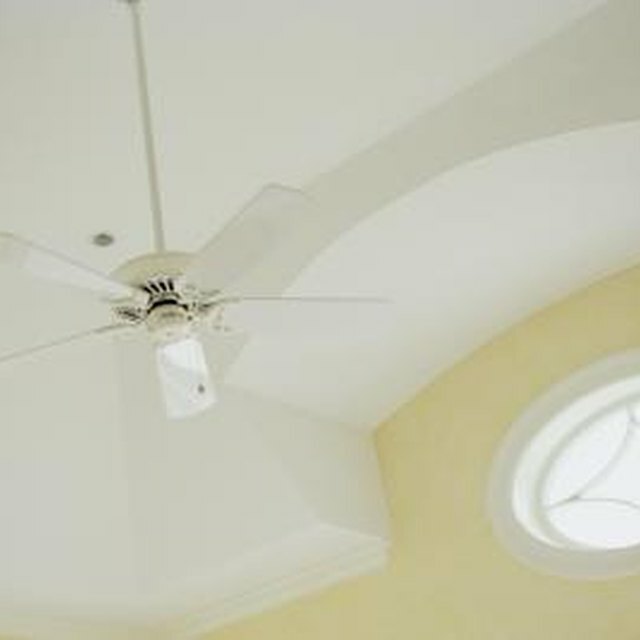 Set the speed of the fan by selecting one of the fan speed buttons on the control panel. These buttons are identified differently on various fan models. However, they are commonly labeled as numbers or letters. These speed buttons will increase the speed of the fan until it reaches its peak speed level. Most desk fans have three speed levels, but you can find some with more or less. If you have a one-speed desk fan, there will only be an on/off button on the fan. These fans will not have the ability to change speeds. Run your desk fan on a lower speed level if you want the fan to be quieter. The higher the speed level, the louder the fan will be.